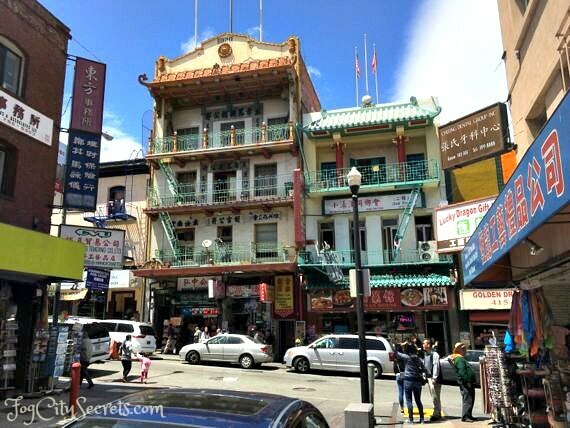 Chinatown San Francisco: a local's tips on what to see and do here. 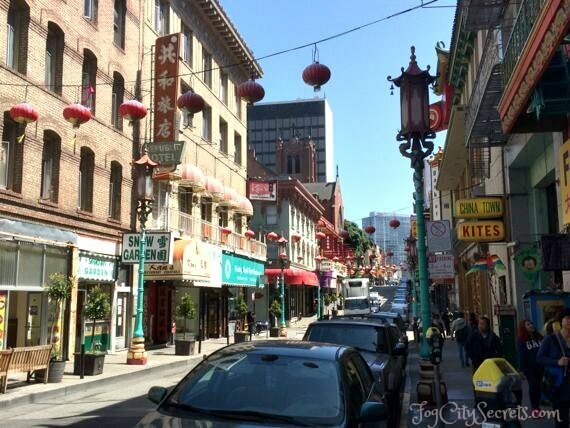 Here's my collection of the best things to do and see in San Francisco's Chinatown. Where to eat, where to shop, and the coolest places to explore. 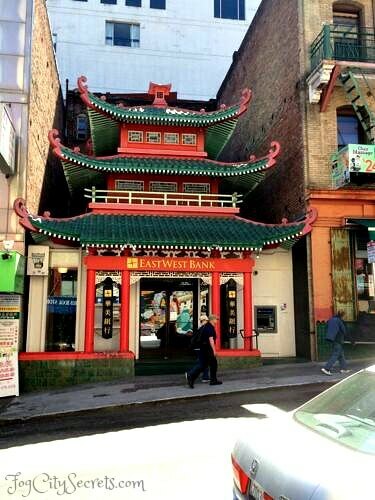 San Francisco's Chinatown is the oldest one in North America and covers 24 city blocks. 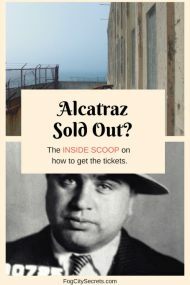 This neighborhood is one of the most popular attractions in San Francisco, and for good reason. It's easy to spend a day here, exploring the streets and alleys, browsing the shops and enjoying the authentic Chinese food. More people visit Chinatown than the Golden Gate Bridge! 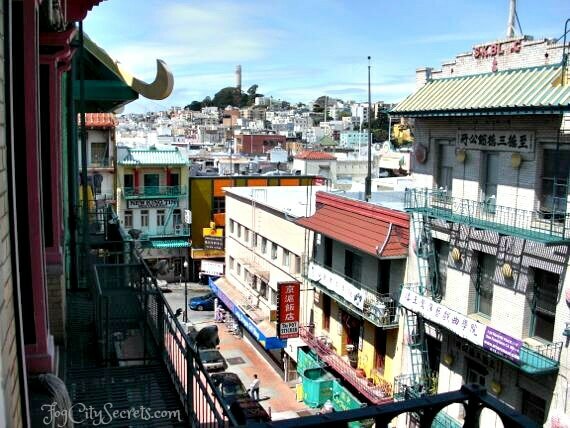 San Francisco's Chinatown is the most densely populated neighborhood west of Manhattan. The residents are almost all Chinese and often speak little English, being fairly recent arrivals. This is also one of the poorest areas of San Francisco; the median income is around $20,000 a year (vs. around $76,000 city wide). About two-thirds of the residents live in single room, residential hotels. People explore Chinatown in different ways. Many visitors stick to Grant Avenue, the picturesque tourist street, where most of the shops are. Others wander into the many interesting side streets and little alleys where the more authentic life of the community goes on. Best way? Do both! The Chinatown Gate. This much-photographed Dragon Gate is the official entrance into Chinatown on Bush Street, where Grant Avenue takes you into the heart of Chinatown. Auspicious dragons and koi fish decorate the gate, and two stone lions stand guard. The gate is an authentic entry gate like those seen in Chinese towns, and was a gift from Taiwan in 1969. The quote in Chinese from Dr. Sun Yat Sen (founder of the Chinese Republic) says "All under heaven is for the good of the people". Grant Avenue runs the length of Chinatown; many of the tourist-oriented businesses are located here. It's pretty in a kitschy sort of way, with Chinese lamp posts, lots of red lanterns, and buildings with Chinese-style, decorative flourishes. It's a pleasant street to stroll down; this is where most of the gift shops are. Sing Chong and Sing Fat. These two buildings facing each other at the intersection of Grant and California were the first ones built in Chinatown after the earthquake in 1906. They were quickly built to head off plans to move Chinatown to a less desirable area, and were designed in a Chinese style with a view to attracting tourists to the neighborhood (it worked, on both counts!). The California Cable Car line runs past them. 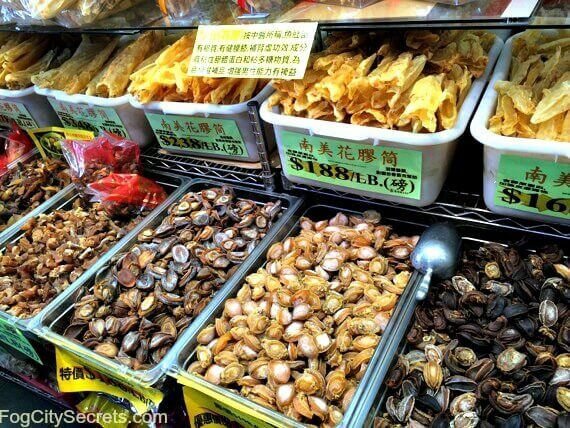 Chinatown Shops: there is a great variety of shopping opportunities here, from bargains to higher-end items. Even if you're not looking to buy anything, it's fun to browse. 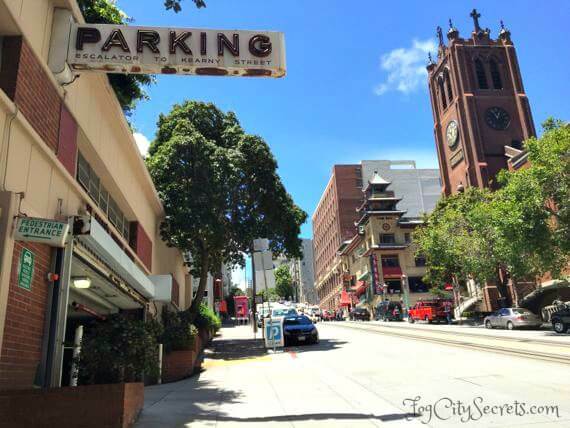 Most of the gift shops are on Grant Avenue, with the produce markets on Stockton Street, but be sure to wander off the main streets to explore the side streets and alleys. For more info, see my page on the most interesting shops in Chinatown. Stockton Street is where the Chinese residents of the district shop. The street runs parallel to Grant Avenue, just one block up. The prices are lower and the atmosphere is authentically China. Stockton Street is an intense immersion into another culture; the produce markets are fun to explore, though the animal markets that can be difficult for Westerners to see. You really feel you have left the U.S. and stepped into a foreign land. Chinese Herbal Shops in this neighborhood supply residents and visitors with a vast array of Chinese herbs, as well as having Chinese doctors on hand to diagnose aliments and recommend remedies. One of the oldest and most interesting is the Great China Herb Company, at 857 Washington, with the original wooden counters and cubby holes. 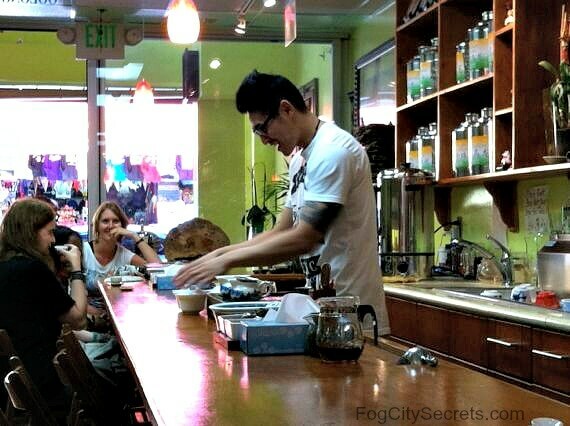 Tea Tasting is a relatively new addition to Chinatown. This is a fun thing to do; the presentation of the tea preparation is interesting and the staff is very knowledgeable about the varieties of tea available. Vital Tea Leaf is a respected tea company and has three shops (509, 905, and 1044 Grant Ave.) that do tastings, with no pressure to buy. 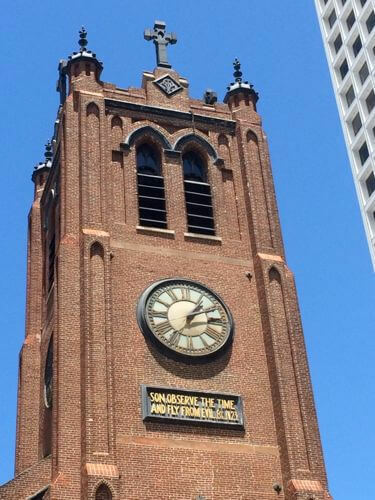 Old St. Mary's Church was built in 1853 and is the only building to survive the fire that destroyed Chinatown after the 1906 earthquake. It has been beautifully restored and you can see the fire damage on many of the bricks outside (called clinker bricks). The bricks were brought to San Francisco by ship around the tip of South America. Under the clock reads a warning (from Ecclesiastes) aimed at men tempted by the many brothels that used to be in this area: "Son, observe the time and fly from evil." Corner of Grant and California. Formerly the Bank of Canton, this used to be the Chinese Telephone Exchange where Chinese women operated a switchboard where they had to know the names and numbers of every resident of Chinatown (and speak Cantonese, Mandarin and English). 743 Washington St.
Portsmouth Square is where the city of San Francisco got it's start. The first houses were built here, and Captain Montgomery raised the American flag here in 1846, claiming the area for the United States. This was one block from the bay at the time and was the port and town center during the Gold Rush days. At Kearny and Clay Streets. Robert Louis Stevenson, author of Treasure Island, used to sit and write in this square during the year he lived in San Francisco, and there's a plaque dedicated to him here. Also, a large, bronze replica of the Goddess of Democracy is located in the square. 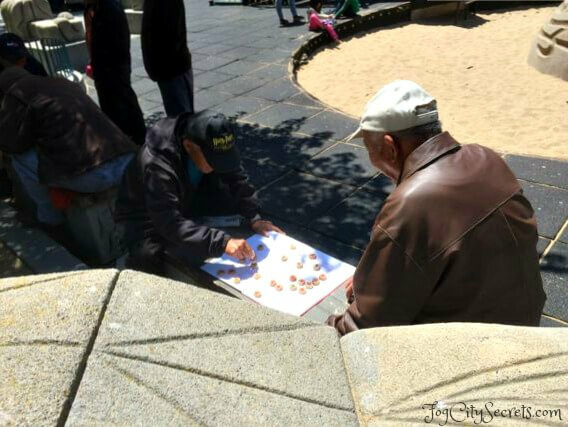 Now Portsmouth Square is the center of Chinatown, and a favorite spot for tai chi and Chinese chess games by the residents. It's not a particularly attractive square but it played a major role in SF history. A convenient parking garage is right underneath the square. The Transamerica Pyramid Redwood Grove. The Transamerica Building (hard to miss) is one block from Portsmouth Square, and has a pretty park with 60 redwood trees right behind it. The Montgomery Block, a well-known, 19th-century building, used to be on this spot. Some famous names used to hang out here: Mark Twain, Bret Harte, Ambrose Bierce and Robert Louis Stevenson. 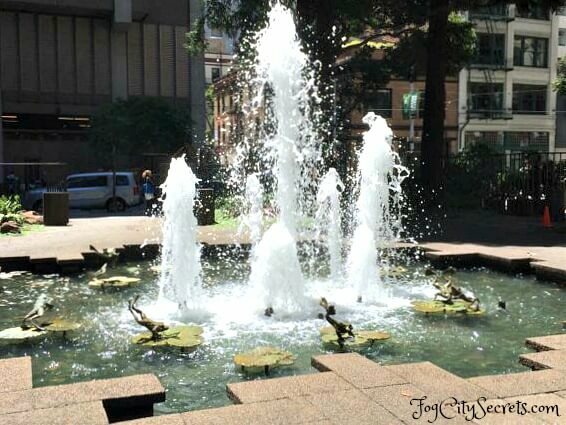 Now there's a cool fountain with leaping frogs (in Twain's honor) and a charming sculpture of children playing. This area used to be under water before it was filled in with dirt and the hulls of ships abandoned in the bay during the Gold Rush. Montgomery Street was the wharf area then. The Chinatown Alleys are the most appealing part of Chinatown, IMO. 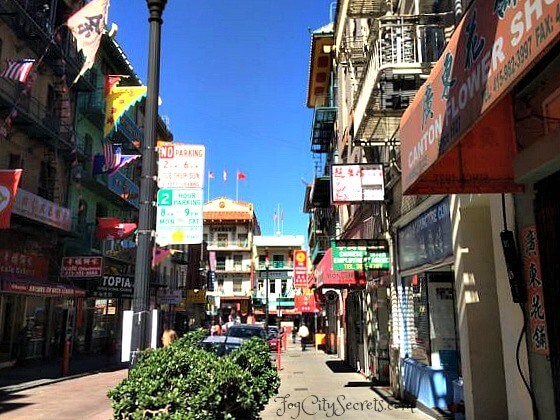 Getting off the main artery of Grant Avenue and exploring the little side streets will give you a more authentic look at the culture; this is where much of the life of this community occurs, with little shops, mah jong parlors, hanging laundry, etc. Travel to China without a passport! 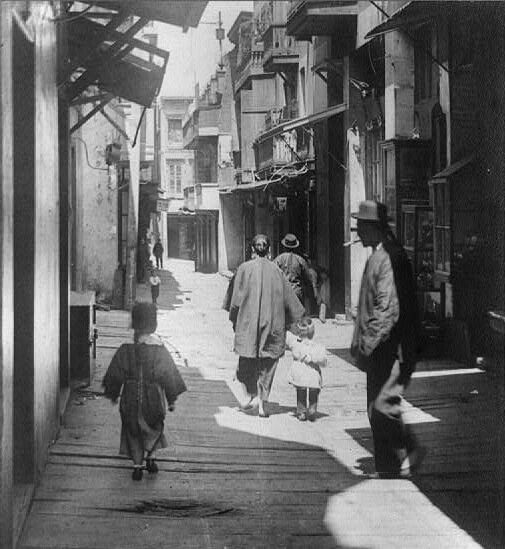 During the late 1800's and early 1900's, the alleys of Chinatown were notorious for gambling, brothels and opium dens. For a lot of information and historical photos of these alleys, see Chinatown alleys. 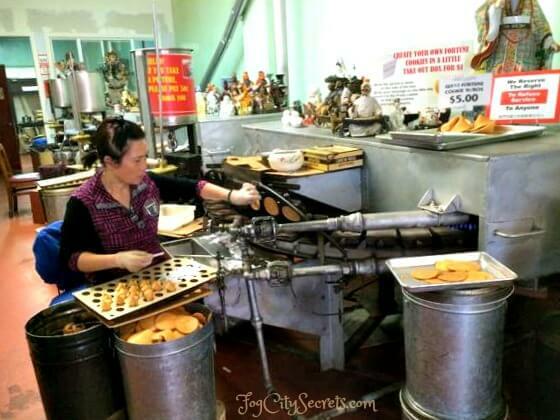 The Golden Gate Fortune Cookie Factory is in Ross Alley, formerly called the "Street of the Gamblers"; the little factory has been there making thousands of fortune cookies every day for many years. It's surprisingly small; several ladies sit at the assembly line and fold and fill the cookies by hand. You can watch them work for free (and may be given a free sample), and you can buy a bag of fresh cookies, but taking a photo will cost you 50 cents. Fun to see! Ross Alley was also used to film one of the scenes in Indiana Jones and the Temple of Doom. Waverly Place is a charming, two-block alley with rows of colorful buildings, "the Street of the Painted Balconies". This street had two of the most famous Chinatown brothels, both run by women (see their stories here). Also the scene of a major tong war battle over a Chinese slave girl in 1879. The Tin How temple is here. One of the characters in Amy Tan's Joy Luck Club lived here and was named after the street. The Tin How Temple is the oldest Chinese temple in America, founded in 1852. It's on the third floor of 125 Waverly Place (no elevator, street number is kind of hard to see, but it's there) and is open to the public. The temple is dedicated to the goddess Mazu, the Empress of Heaven (Tin How) who protects seafarers, and has a special place in the hearts of Chinese immigrants. In addition to a shrine to Tin How, the space is filled with statues of other Chinese deities, and offerings of fruit, with lanterns and candles giving it a warm glow. They ask that no photos be taken and that worshipers be treated with respect. Free, but a small donation would be nice to leave. People ask advice at the shrine by shaking fortune sticks and reading the message corresponding to the number of the first stick to fall out. Often the answers are poems that the seeker must interpret. Hang Ah Street (an alley, actually, "Fragrance Alley", named for the perfumeries that used to be there) runs between Sacramento and Clay Streets and has the oldest dim sum restaurant in Chinatown, the Hang Ah Tea Room, one of my favorites. It's a pleasant place to eat, and the alley is lined with mah jong parlors. More on the Hang Ah Tea Room. Spofford Alley was once the residence of Dr. Sun Yat Sen, the leader of China's revolution that overthrew the last imperial dynasty in 1911. He was in hiding from assassins sent by the Manchu rulers and had a secret office at #36 Spofford Street. There is an interesting steel statue of him in St. Mary's Square, on California, between Grant and Kearny. Just Wandering Around. Sometimes the best travel experiences are the unplanned ones. Chinatown is a great place to meander, heading up this street, or down that alley. The side streets are less touristy and give more of a feeling of authentic Chinese culture; you really will feel like you're not in the U.S. anymore. And Chinatown is a neighborhood where it's safe to go anywhere. 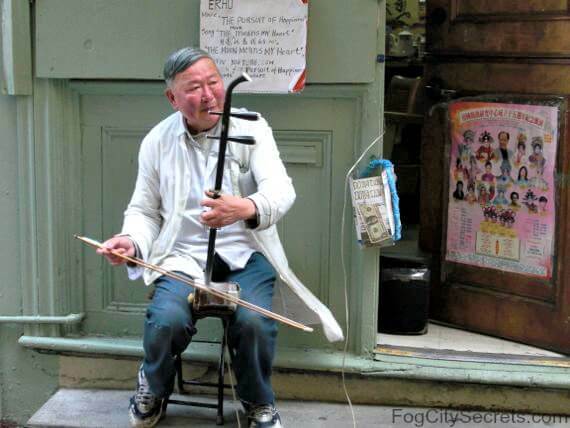 The man playing the two-stringed instrument in the photo below is the barber Jun Yu, who is sitting outside his small barbershop in Ross Alley. The instrument is an erhu, also used in classical Chinese orchestras; the violin-like sound is produced by vibration of the snake skin stretched across the sound box. Jun Yu is a bit of a celebrity. He lists Frank Sinatra, and Clint Eastwood as former clients, and played the erhu in the film Pursuit of Happiness (starring Will Smith). He also appeared on The Bachelor in 2010. Is it better to take a tour, or explore on your own? The answer depends on one's traveling preferences. There's a lot of interesting history here, so it can be easier to have someone take you around and tell you the story of a place without having to look it all up yourself and find all those locations. 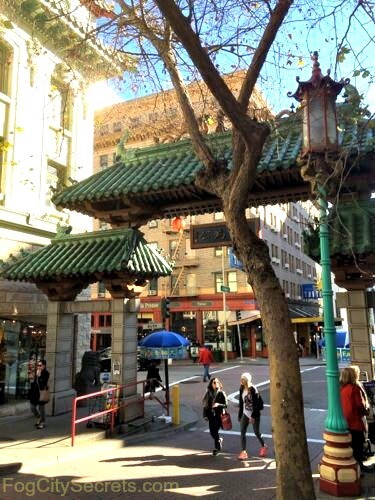 For the pros and cons, see my discussion on the best walking tours of San Francisco's Chinatown. 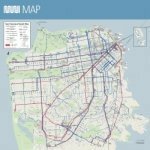 I've listed the best guided tours (some free, some not) and also put together a self-guided walking tour with a map that you can download and use to head out on your own. Chinatown Dim Sum. Eating dim sum is one of both visitors' and locals' favorite experiences in Chinatown. If you want authentic dim sum in a truly Chinese setting, stop in at one of these little bakeries. There are over 30 Chinese restaurants in Chinatown! Where are the best places to eat? I've created a list and a map with my recommendations for the best restaurants and dim sum eateries to try out, at Chinatown restaurants. Li Po Lounge. I have to mention this Chinatown bar. This place started out as a notorious nightclub in the 1930's and has been a local hangout for many years, but it became well-known after it was "discovered" in 2012 by Anthony Bourdain and featured on his travel show. Looks really seedy on the outside, but is enjoyably tacky and weird inside (and safe). Imagine that the Tiki Room and a dive bar had a child, then throw in lots of Christmas lights and a buddhist shrine, and you have the Li Po Lounge. It's actually a fun place, and is famous for it's powerful and large Chinese Mai Tai's. 916 Grant Ave.
with my pot of wine, drinking by myself. with no other friends here, I can but use these two for company. But when I have drunk too much, we all part. 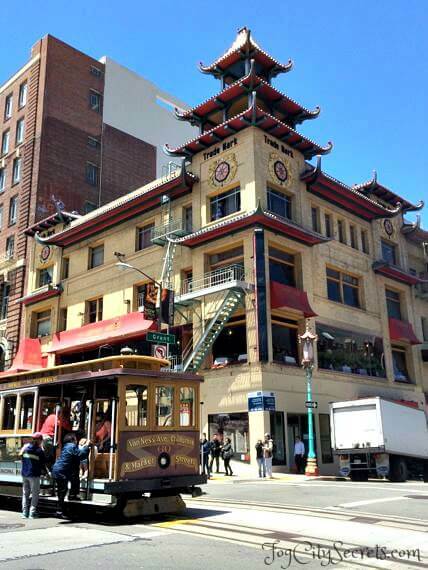 Chinatown is where the village of Yerba Buena, later to be San Francisco, started. Portsmouth Square had the first houses in the city and Grant Avenue was San Francisco's first street. Everything changed when gold was discovered in the Sierra foothills in 1849, first publicly announced in Portsmouth Square. 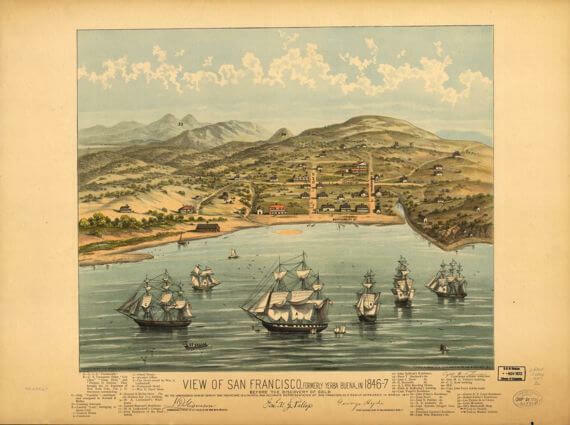 The mad rush to dig for gold brought thousands of men to the port town of San Francisco, including many Chinese, who settled in the streets close to the bay. What is now Chinatown became a crowded and crime-ridden district for many years, due to a number of factors (too much gold, too few women, corrupt government officials, housing and immigration restrictions on the Chinese, etc.). And the entire neighborhood was destroyed in the fire that followed the 1906 earthquake. 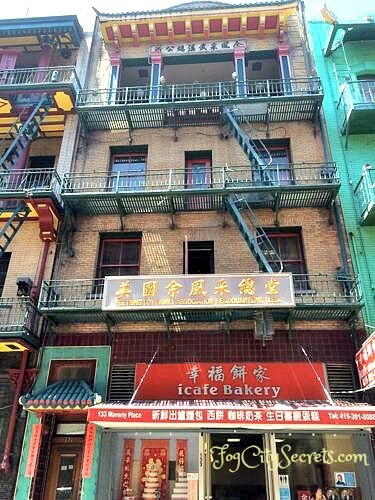 For a more detailed account of the life in San Francisco's Chinatown during the Gold Rush period and after, with photos from that time and the current locations of historic events, see Chinatown history. The two main holidays celebrated in San Francisco's Chinatown are Chinese New Year, in February, and the Autumn Moon Festival in mid-September. Chinese New Year is an extremely festive time of year in San Francisco's Chinatown, accompanied by a massive parade attracting a million viewers, along with a number of other events, including a street fair, and mountains of fireworks. For more info, see San Francisco's Chinese New Year. 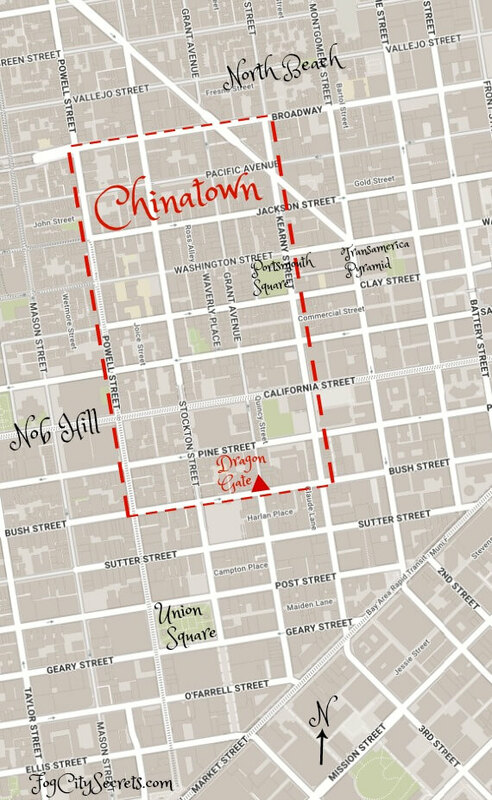 Chinatown consists of about 24 square blocks, bordered by Kearny, Broadway, Powell and Bush Streets. The Dragon's Gate entrance to Chinatown is just a couple of blocks from Union Square, where many of the major hotels are located. The 30-Stockton bus goes right through the heart of Chinatown, right down Stockton Street. You can get off anywhere between Broadway and Bush. Taking the 30-Stockton bus can be an interesting cultural experience in itself. Be prepared for some pushing and shoving by some determined little Chinese grandmas! From Fisherman's Wharf, you can catch the 30-Stockton bus along North point Street from Columbus to Van Ness. You can also catch the 30-Stockton near Union Square at Sutter and Stockton. See the bus route (click "live" tab or download the pdf) go to 30-Stockton. Cable Cars: all three cable car lines go through Chinatown as well. The California Street line stops at Grant Avenue, the main street of Chinatown. On the two Powell Street lines, get off on Powell Street anywhere between Bush and Jackson, walk downhill one block and you will be on Stockton Street in Chinatown. Street parking is tough here; I don't attempt it myself. But there are three decent parking garages, two in the neighborhood and one close-by with a shuttle on weekends. Portsmouth Square Garage. This one is my favorite garage, where I usually park. It's right in the center of things, has lots of room, and isn't outrageously priced. $3 per hour. Open 24 hrs. They take some restaurant validations after 5 p.m. When it starts to get filled up, they do valet parking. Entrance at 733 Kearny St. Tip: the garage is surrounded by one way streets and the traffic is pretty congested there. The easiest approach is to come down Clay Street in the left lane and turn left onto Kearny to get into the line for the garage entrance on Kearny. When you exit the garage, stay on Kearny St. Don't turn onto Washington Street; you'll run into a traffic mess. They have cool names for the garage floors and sections: e.g. 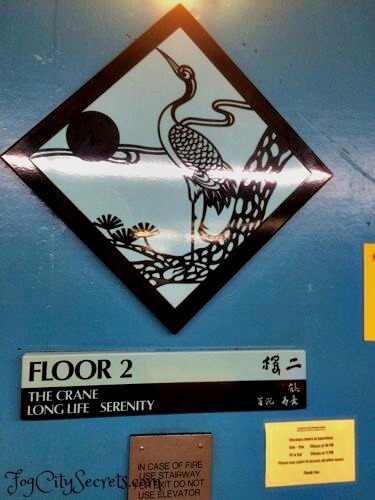 The Dragon Floor (3), with Wisdom, Growth and Power sections. St. Mary's Square Garage. A bit more expensive, but still very convenient, just off Grant Avenue with an entrance on California, and another at 433 Kearny Street. $3.50 to $4.50 per hour, $1 hourly after 6 p.m. Open 24 hrs.